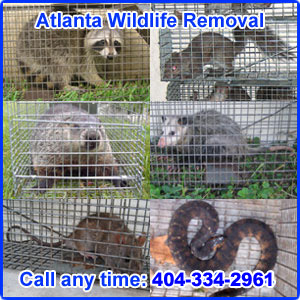 We operate a professional wildlife removal company based out of Lawrenceville Georgia. We specialize in the resolution of conflicts between people and wildlife. Examples of common jobs that we do include the removal of squirrels in attics, complete rat removal and prevention, removal of bats from buildings, bird prevention, raccoon trapping, snake removal, and more. We remove dead animals from homes, repair wildlife damage, perform full home inspections, clean up wildlife waste and clean attics, and do 100% wildlife prevention work. If you have wildlife living in your building or attic, it's very important to find and seal all entry holes leading into homes in order to provide a permanent solution to wildlife problems. Wildlife Trapping: We specialize in humane wildlife trapping and removal. 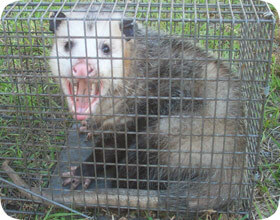 We remove all nuisance critter species in Lawrenceville, including raccoons, squirrels, opossums, snakes, and skunks. We specialize in complete rodent control and offer 100% permanent removal of rats and mice. We also specialize in bat colony removal and bird and pigeon control. We use the proper wildlife control tactics and trap only the target wildlife, and when possible, we simply exclude the animals with no stress. Most importantly, we solve the root of the problem, and specialize in permanent solutions to wildlife problems. We do this by performing a detailed inspection of the home or building, and by sealing shut, with steel, any and all points of entry so that no wildlife can enter again, and we give a guarantee on our work!